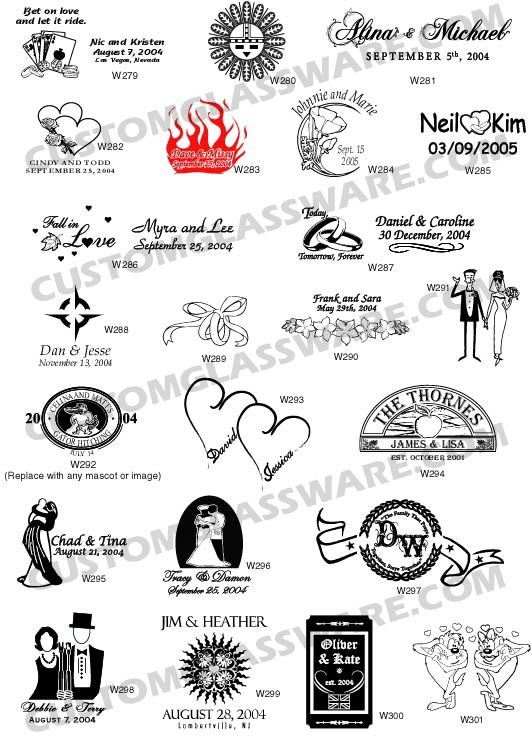 A larger selection of cost-free wedding favors graphics and logos. These graphics can be customized by our graphics team, and have a unique look and feel that you won't be able to find anywhere else. Imprint on two sides is often offered, so mix and match your choice of graphic and text.